"Dewey or Don't He? Thank God He Does!" was written on a sign being held up by a fan at Fenway Park during the 1990 season. It was perfect because it always felt like Dewey came through when the Sox needed him most. 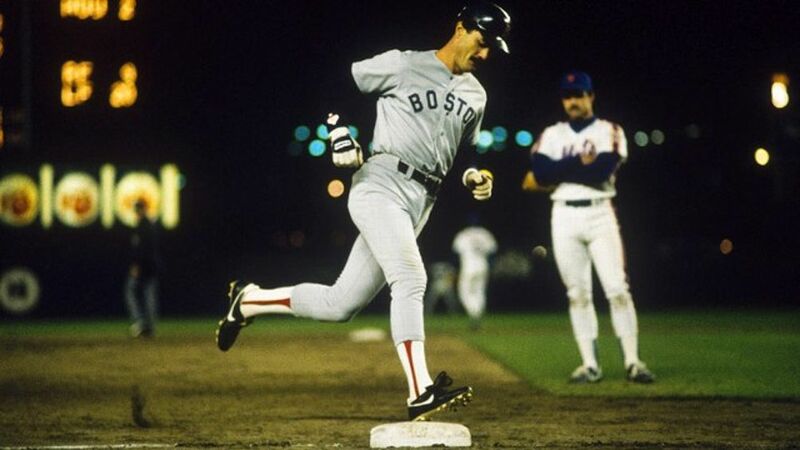 If you are a Red Sox fan over the age of 40, chances are the real #24 in your heart for the Boston Red Sox belongs to Dwight Evans. Evans is arguably the greatest right fielder in Red Sox history, but will he ever get into the Hall of Fame? Dwight Evans? OK, let's talk Dwight Evans. Criminally underrated. Better in his 30s than his 20s, he wasn't viewed as a future Hall of Famer while active. Won eight Gold Gloves, with one of the strongest right-field arms you'll ever see. More runs scored than Rod Carew, Tony Gwynn, Barry Larkin or Andre Dawson. More RBIs than Johnny Bench, Mike Piazza, Duke Snider or Roberto Clemente. A higher career WAR than Dawson, Snider, Dave Winfield, Billy Williams, Willie Stargell or Jim Rice, just to name a few Hall of Fame outfielders who have been elected by the BBWAA. There's a sound sabermetric case for him. Complete player. Clutch hitter, power, drove in runs, walked a lot and one of the best defensive right fielders of all time. Yes, he belongs in the Hall of Fame...and this from a Yankees fan. The Roger Clemens Hall of Fame Plaque? How Will the Red Sox Handle the DH Spot in 2017?